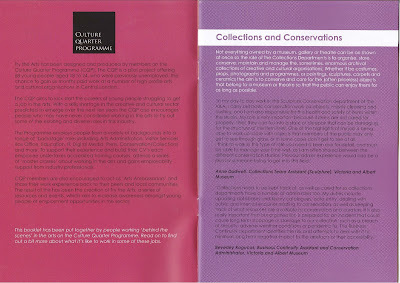 For the past 6 months I have been working as a admin assistant in the learning and interpretation department of the Victoria and Albert museum, as part of the cultural quarter programme. 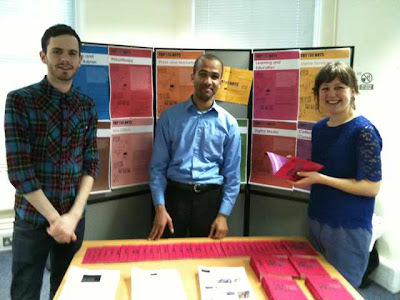 CQP is a programme offering a number of paid 6 month fixed term contract jobs in a range of roles with one of their partner employers. 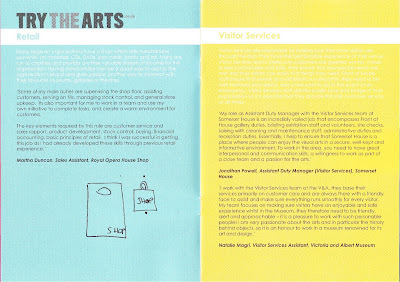 The functions covered include Arts Administration, Visitor Services, Box Office, Retail, Information Technology/Web and Conservation/Collections. 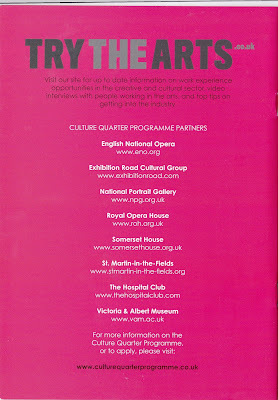 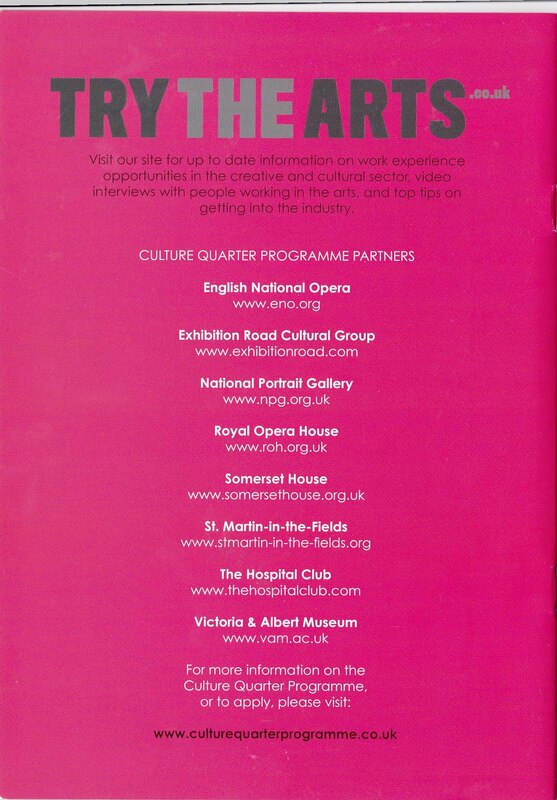 The Culture Quarter Programme is a partnership of arts and cultural organisations based in Central London including English National Opera, ERCG (Exhibition Road Cultural Group), The Hospital Club, the National Portrait Gallery, Royal Opera House, Somerset House and the V&A Museum. 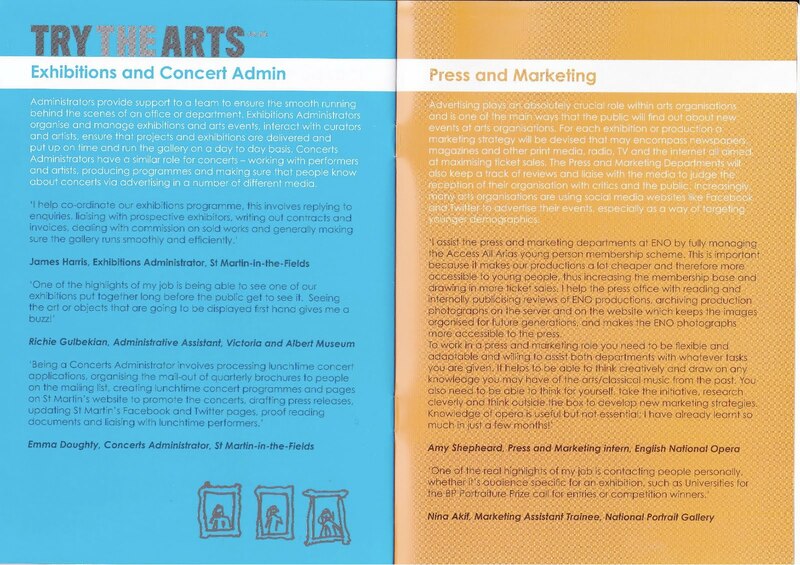 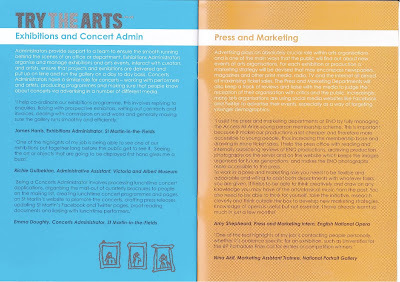 The Programme is unique in the way that it will offer a range of structured training within each job, aimed at giving each participant an insight into the creative and cultural world, equipping them to embark on a successful career within the arts sector. 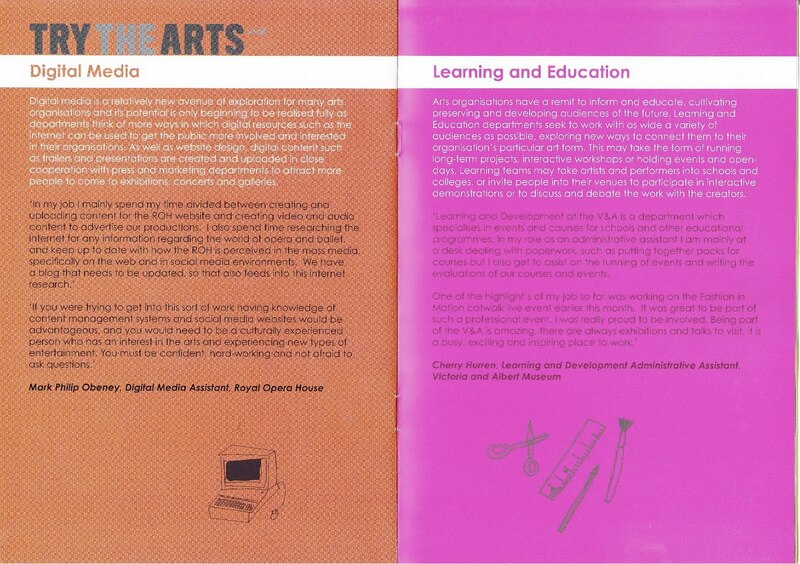 The training will include a personal development programme and a series of master classes led by experts from the creative sector. 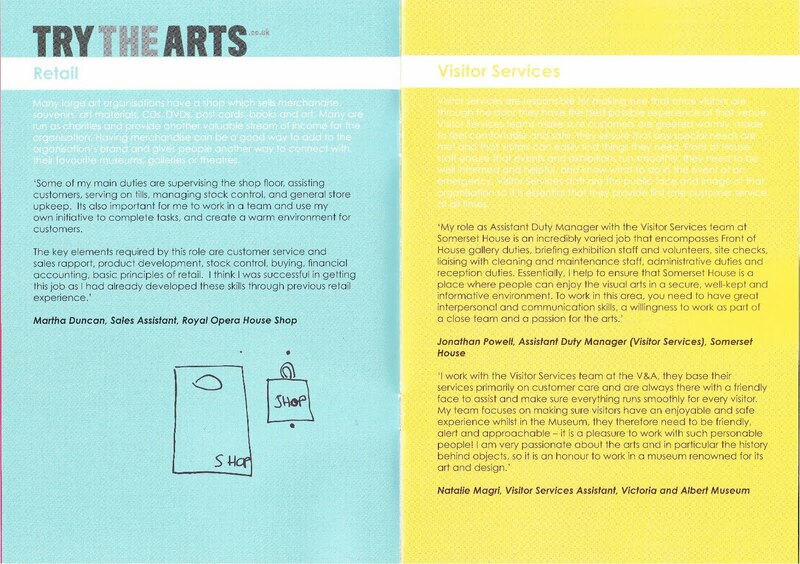 Participants will also study for an NVQ qualification relevant to their chosen area of work. 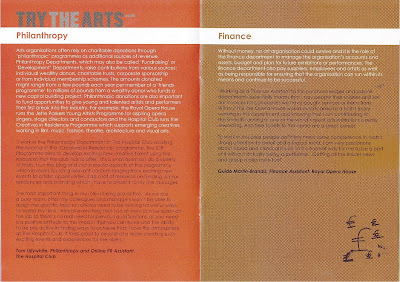 Part of the programme was to produce something which made cultural organizations open to more people, for us to be 'Art Ambassordors'. 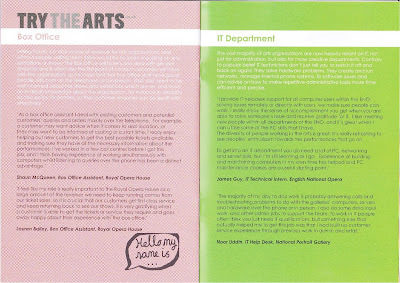 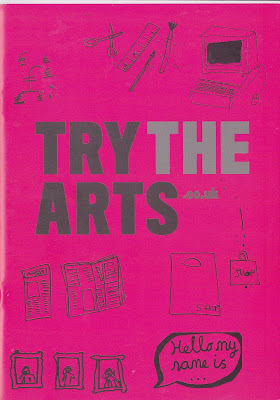 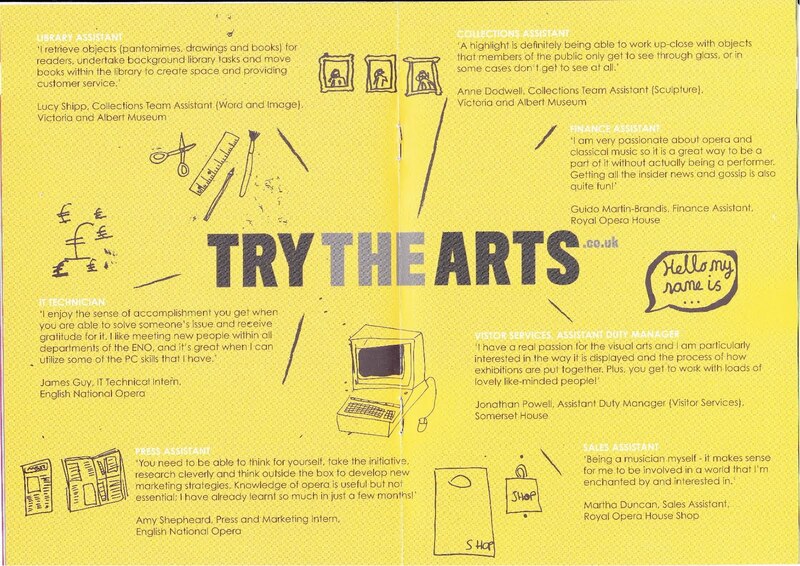 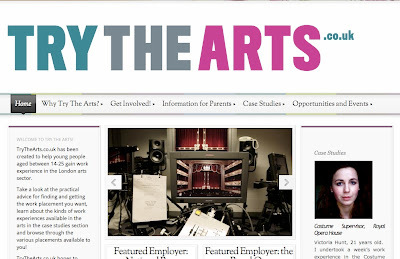 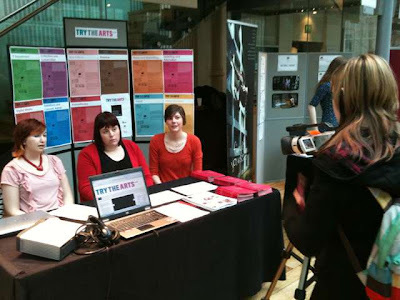 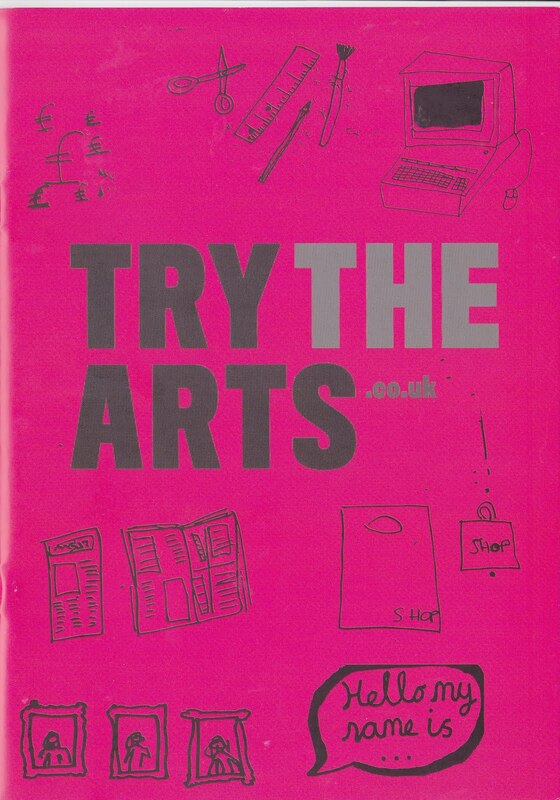 As a group we organized a new promotion for the arts, titled Try the Arts, There is a website www.trythearts.co.uk with videos. 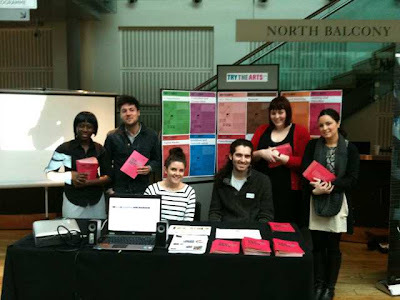 As a group we organized a careers event, which I was involved in. 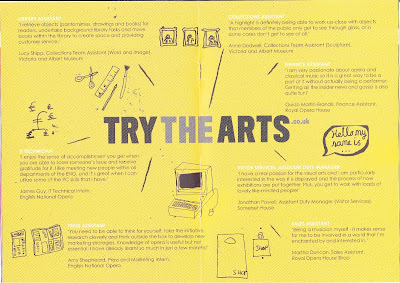 Also my part indivdually was to produce illustrations and collaborated to design a booklet and posters with Rebecca Carter. 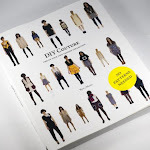 Who is duty vistor manager and gallery assistant at Somerset House, she is a future curator in the making. 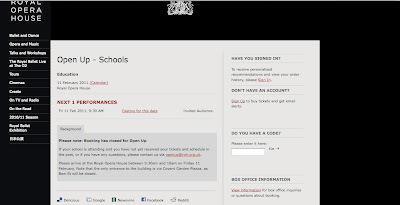 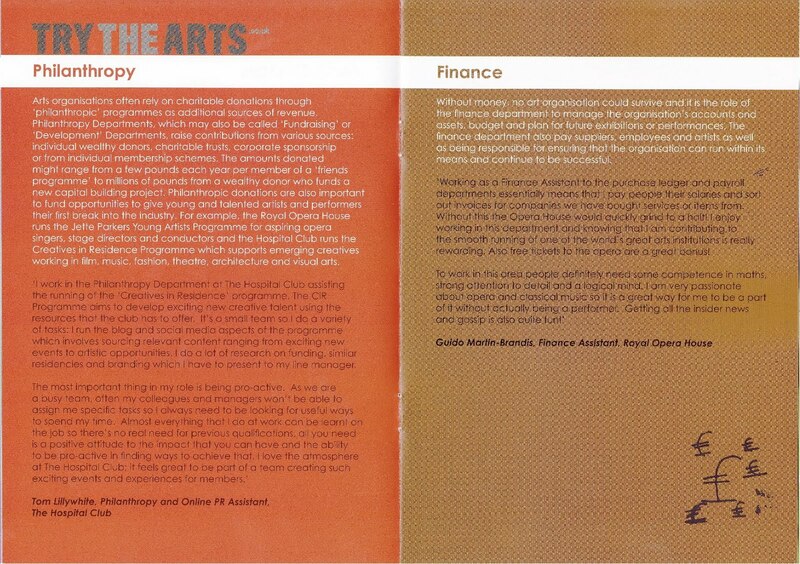 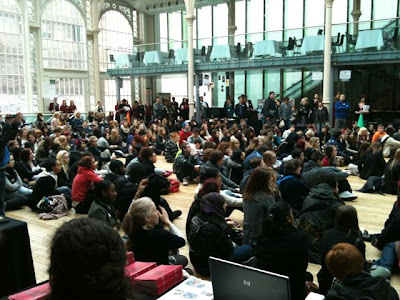 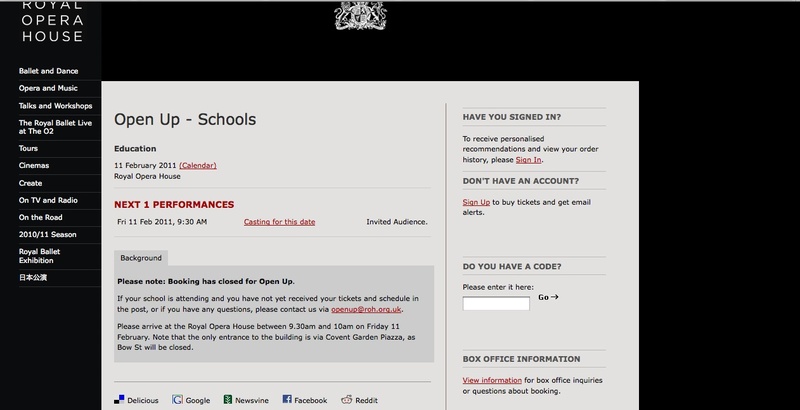 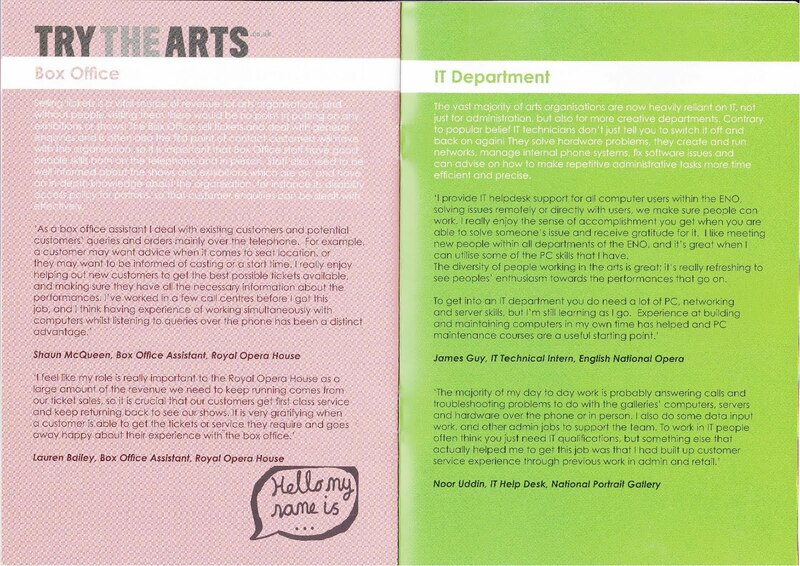 The open up careers event was on Friday February 11th, at the Royal Opera House, Covent Garden. 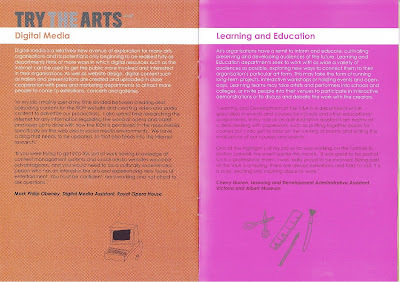 At the event there was a stand which had the posters on display, and the booklets being handed out to hundreds of creative media students.